On the 6th May 1840 the very first postal stamp was introduced. As a way of combating the financial losses of the Postal Office, 1d was charged for prepaid letters, whereas 2d was charged if the fee was collected from the recipient. This meant it was better for the sender and the recipient to prepay for their letter, plus the Postal Office received the money straight away (some messengers would be likely to pocket the money received and claim the letter was lost). As a way of documenting this, an ‘adhesive label’ was attached to the prepaid letter. 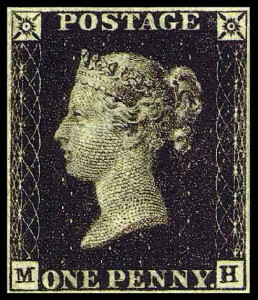 This was known as the Penny Black and was the first stamp ever to be used. The Penny Black was quickly discontinued, as the black ink made it hard to see any attempts to void the stamps by crossing through them. In 1841 the stamps were printed in red, becoming the Penny Red. This new stamp was originally only for use within the UK, as it was a local stamp that depicted a profile of Queen Victoria. When international postage gained popularity, envelopes would be marked with the country’s name. In 1951 a special commemorative stamp was issued containing the name Britain for the Festival of Britain, and the name has been used in stamps ever since. At RAND Logistics we endeavour to provide you with the best service at competitive rates. RAND Logistics can provide an instant quotation on excellent rates on parcels to Spain, Norway or anywhere else worldwide.